Hi! I'm Camilla from the DIY home decorating blog, Family Chic and I am so thrilled to be writing this guest post for Feeling Stitchy! I've had a soft spot in my heart for embroidery ever since the age of 5 when my mom sat me down with a square of burlap and some yarn and taught me the basics. I was hooked at that very moment! One thing I love to do is experiment with my stitches; I get a kick out of adding embroidered details to almost anything. For this project I tried something different and combined sculptural wire with a simple couching stitch to make a Valentine for my kids. I hope you enjoy it! Step 1: Cut out a piece of fabric and a piece of cardboard - both of the same size. 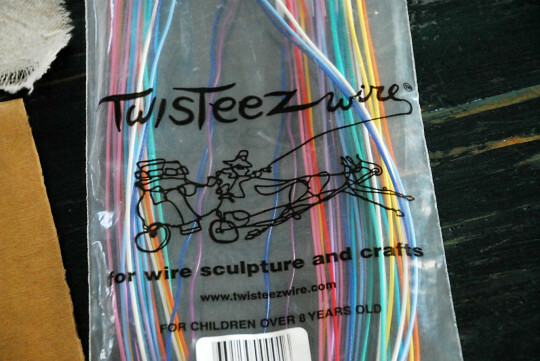 Step 2: Grab a bag of Twisteez Brand Wire and select your color. 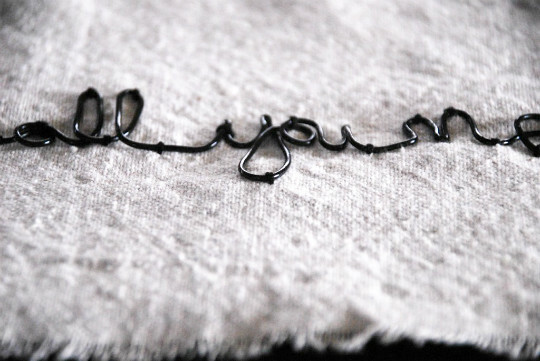 Step 3: Shape your sentence by bending the wire. 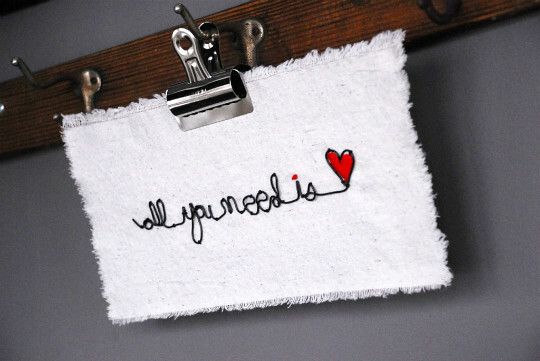 Step 4: Using embroidery floss in the same color as your wire, tack down your sentence with small stitches spaced about 1-inch apart. It is especially important to tack down all the loops so your sentence stays flat against the fabric. 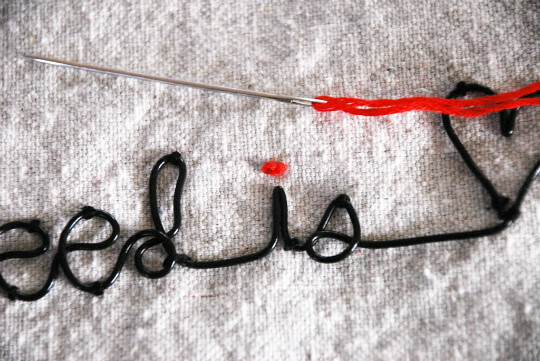 Step 5: Using red embroidery floss, dot the "i" with a french knot. 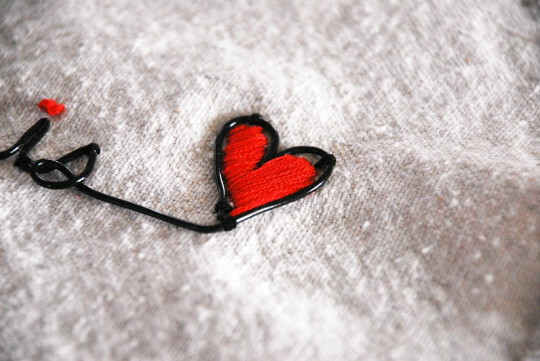 Step 6: Fill in the heart with a satin stitch in red. 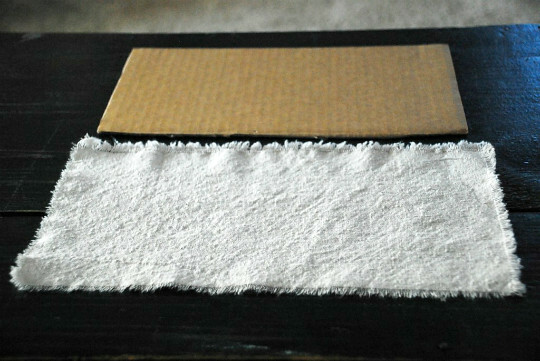 Step 7: Using a hot glue gun, attach the linen to the cardboard. I like easy and unusual ways to hang art so, I hung my work from a metal clip. This is so easy - you can get it done in less than 30-minutes. Happy Valentine's Day - Enjoy! I have over 200 easy-to-make projects on my blog, Family Chic. Be sure to stop by and take a look at my sewing and embroidery section! 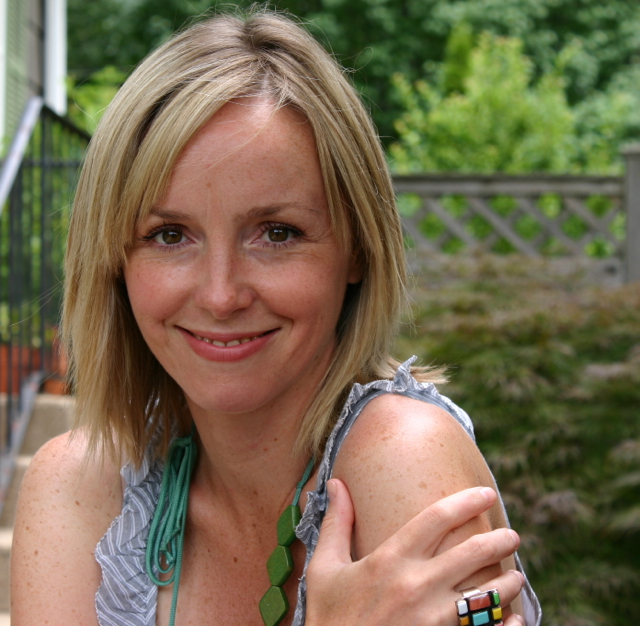 Thank you, Camilla, for this wonderful guest post, and for kicking off our February Stitchalong. I love how well this ties in with last month's stitchalong - this is basically couching, but with wire - feel free to use yarn, pipe cleaners, or anything bendy to complete your project! 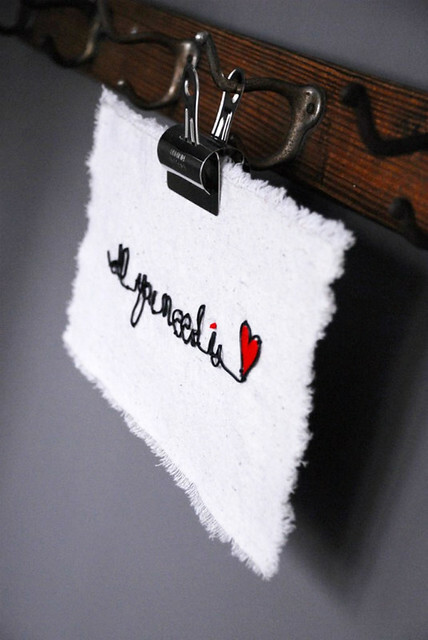 To join in, add your projects to the pool and tag them "Feb2012Stitchalong". I'll be checking in later this month with your progress, so have fun with it! 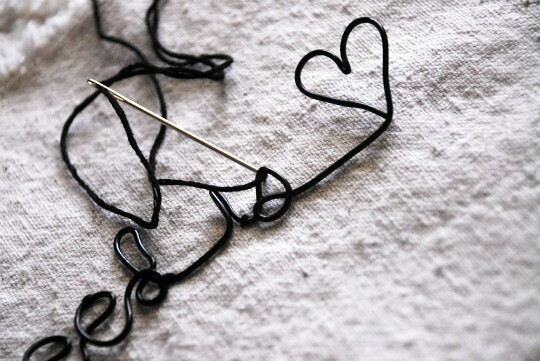 February is going to be extra-special here on Feeling Stitchy. I've decided to celebrate "love" this February - love for this community, blogs we love, artists we love, books we love, businesses we love - in short, there's gonna be a whole lotta love this month. And, giveaways! 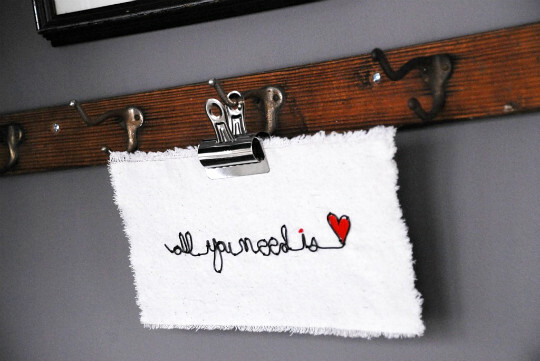 I've worked extra-hard to shower you with love this month, so think of us as your Valentine! I love this idea! I'll try to come up with something to actually play along this month! Yay~! Love this guess post! 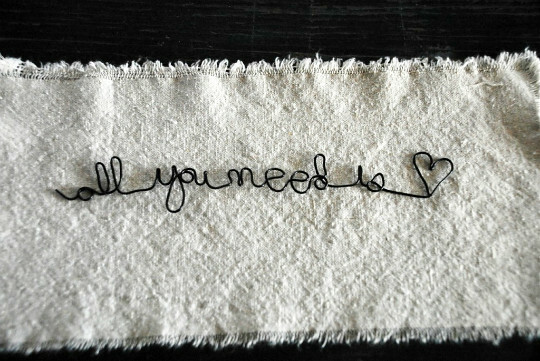 Like the stitched wire! WOW! I don't think I'd have ever thought of doing this. I really like it! I can't find any Twisteez in the UK. Is there an alternative I can use? I would try anything bendy - like pipe cleaners, jewelry or craft wire. This is fantastic hang art work. Thanks for the tutorial.